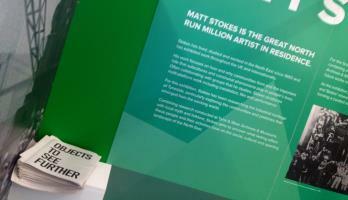 As 2014/2015 artist in residence for Great North Run Culture, Matt Stokes had an integral role to play in developing a piece of work of his choosing, that would represent ordinary people and their extraordinary achievements, in support of our year long programme Great North Greats. For twelve months, he researched the heritage of Tyneside, particularly exploring the communities and pastimes that emerged from the late 1800s. Forming part of a wider exhibition entitled Great North Greats, Stokes paid careful attention to the people of the north east and how they have shaped the region we know and love today, with the ultimate desire to create a film entitled Objects to See Further. 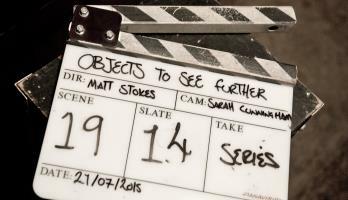 This event will introduce some of the key histories and themes that are shaping the development of Objects to See Further, the new film by Matt Stokes, set in 1871, and which will be premiered at the Discovery Museum on 15 August 2015 as as part of Great North Run Culture’s ‘Great North Greats’ programme. Henrietta Heald: author of ‘William Armstrong, Magician of the North’ will talk about the life, work and legacy of William Armstrong, with particular emphasis on the years around 1871. Colin Cunningham: Director of UK European-Extremely Large Telescope project, will talk about the history behind the development of the largest optical-infrared telescope in the world, including the practicalities involved in the construction, which have quite literally involved moving a mountain. As well as insight into what it is hoped this instrument will enable scientists to discover. Peter Dillon: is a writer, film director and Senior Lecturer at Northumbria University. 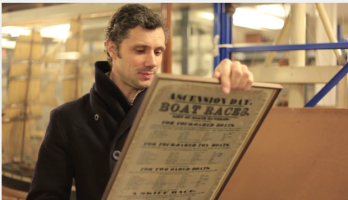 He wrote the award winning BBC 2 documentary ‘River Racing’, which surveyed the history of rowing on the Tyne. In his presentation he will chart this fascinating and overlooked part of local sporting tradition. Alan Fitzsimmons: known as ‘Fitzy’ on Tyneside and beyond, Alan is a member of ‘The Keelers’ and was a founding member of the Gosforth Folk Club. A true exponent of Northeast traditional song, Alan will conclude the evening with a performance of Joe Wilson songs.